kuznianaklejek.pl > Fototapety>Kolekcje>POPART>Pop art vintage radial line background. Halftone comic book backdrop pink old poster. Colored cartoon vector illustration. Retro design template. Graphic texture grunge poster. 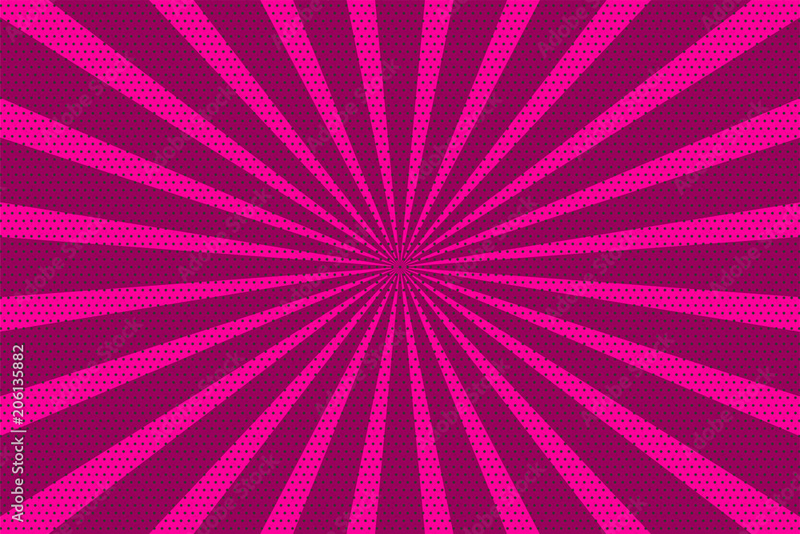 Pop art vintage radial line background. Halftone comic book backdrop pink old poster. Colored cartoon vector illustration. Retro design template. Graphic texture grunge poster.